I had to really concentrate or focus for a long time before I was able to figure out what 999,999 times 1,239,743 was. Since I didn’t have a calculator, I had to write out all the numbers in many columns to solve this and truly concentrate or think hard so that I didn’t make a mistake. After concentrating or directing all of my attention towards this hard problem, I finally solved it—but only after a great deal of energetic thinking. I sure hope that I don’t have to concentrate or center my thinking on another huge math problem tomorrow because my brain is tired! Quiz: Try again! What are you doing if you are concentrating on something? You are thinking very hard about it and not much about anything else. You are trying to ignore it since it would require way too much thought from you. You are spending only a small amount of time on it because it doesn’t require much focus on your part. When you concentrate on something, such as a difficult math problem, you think hard about it by focusing all of your brainpower on it. Concentrate Center or concentrate your thoughts on the center of concentrate, instead of thinking about ice-cream cones or sweet dates! When you concentrate on something, like a difficult physics problem, you “center” all your thoughts “together” only on it to give you the best chance of solving it. 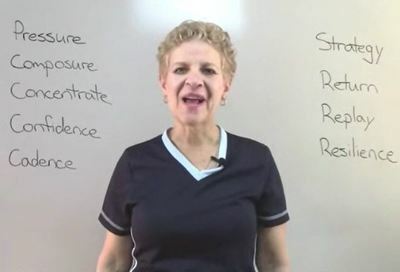 Expert Sports Performance [YouTube] This woman will tell you how to concentrate when you are playing sports so you can do your best.